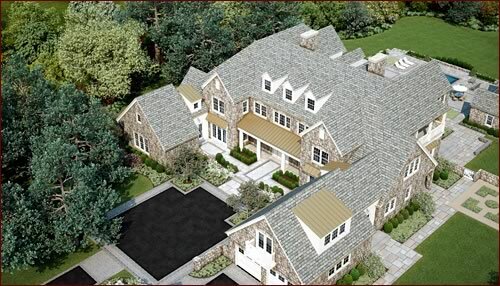 A computer rendering of a 12,000 square-foot, stone custom residence under construction in Lake Forest, outside Chicago.  Photo courtesy of Goldberg Downey Architects, Inc.
Design-Build is by far the fastest growing method of project delivery in the country. Its popularity is owner-driven, primarily because of shortened project delivery times and the single point of responsibility for project design and construction. Traditionally, architects have been somewhat hostile to design-build. They have feared that it diminishes the design professional’s role and the importance of design to the project. There is some validity to these criticisms because architects traditionally have played a subservient role to the contractor in design-build projects. Historically, the reverse was true. The architect as masterbuilder had overall responsibility for the project, both the design and construction. However, as the legal climate became more adversarial, architects retreated from responsibility for construction, carving out the ever-narrowing niche that they now occupy. 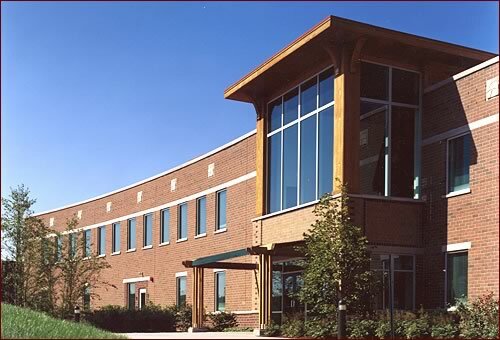 One of the first buildings delivered through designer-led design-build, the Girl Scouts of American Headquarters building in Vernon Hills, Ill., named “Best Building of 1998” by the Design Build Institute of America. DLK Architecture, Inc.: Design-Builder. The second step for most architects is to establish a sister company to be the architect’s design-build division. 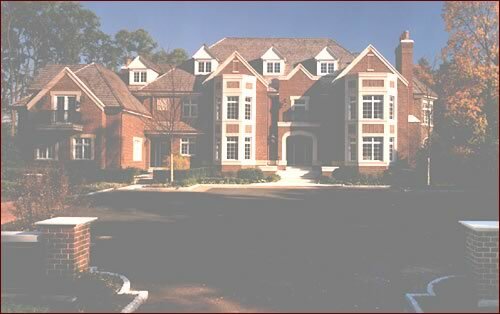 This company enters into a Master Subcontract Agreement (similar to a strategic alliance agreement) with the contractor (preferably more than one contractor), which calls for the contractor to perform the preconstruction services described above and then all of the construction on future, as-yet unidentified design-build projects for a cost (or with a guaranteed maximum price) of 95 percent (for example) of what the owner pays to the architect’s design-build company for the construction. Of course, these numbers would be based on the contractor’s preconstruction estimating. Structuring a design-build project in this manner affords four significant advantages to the architect. Increased Profits. Designer-led design-build enables the architect to participate in construction profits, which dwarf the profits from the design phase. 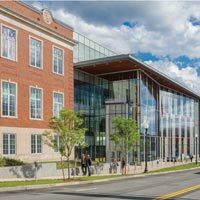 Informal research among architectural firms that take the lead in design-build projects indicate that the ratio of construction to design profits exceeds 4:1. There is a potential for even greater profits from sharing in the construction savings if the project cost turns out to be less than the contractor’s guaranteed maximum price. There also are labor savings during the Construction Documents phase resulting from a decreased need for “defensive detailing” in lieu of minutes of meetings and other more efficient procedures to convey design intent. Marketing Advantages. The most important marketing advantage of designer-led design-build is that it permits the architect to “put its money where its mouth is” by offering at an early stage in the project to guarantee the budget and completion date if the architect is hired to build the project. An additional marketing advantage is that the architect would be able to offer owners a design-build option, which the owner may or may not elect at his choice any time during the design phase. Architects employing this approach have found that the ability to perform both the design and construction of the project separates them from their competitors and results in many more commissions – even for projects that ultimately are delivered in a more traditional manner. A surprise marketing advantage is a change in the architect’s relationship with the contractor(s). Contractors quickly figure out that they want to be the architect’s “100-percent subcontractor for construction,” since the projects usually turn out to be lucrative and non-adversarial. Savvy contractors find ways to hire design-build architects or get them referrals for other projects to increase the likelihood that they will be selected as contractor for the next designer-led design-build project. 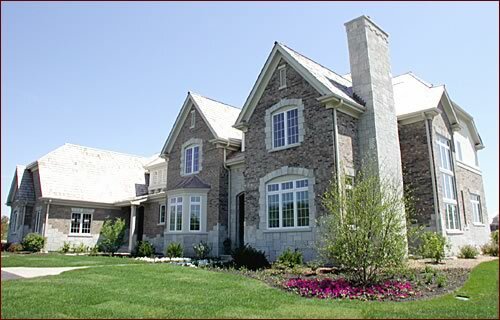 A 6,000 square-foot, brick and stone speculative residence in Kildeer, Ill. – Photo courtesy of Goldberg Downey Architects, Inc.
Control of Design. An architect who is prime can control the quality of design and can ensure that the construction properly implements the design intent. In designer-led design-build, the contractor does not communicate directly with the owner and therefore cannot recommend unwise design decisions to the owner, such as cheapening an HVAC system to save upfront costs without a thorough analysis of life-cycle considerations. When the design professional works for the contractor in contractor-led design-build, he is often prohibited from communicating directly with the owner about design or construction defects and must take his concerns to his contractor client, who may or may not do anything about them. This control is particularly helpful if something goes wrong on the project. If a design error is discovered, the architect and contractor can resolve it quickly and quietly without it becoming a public relations disaster, and sometimes without the owner ever finding out. 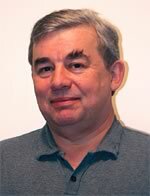 And if there are cost consequences from the design error, the contractor, who is the architect’s teammate and ally, will actively attempt to minimize any resulting delays and subcontractor charges. Minimized Problems During the Construction Phase. In designer-led design-build, the contractor is not entitled to change orders for errors or omissions in the construction documents because it participated in creating and proofreading them. Any resulting consequences are divided equally between the architect and contractor through the sharing measures described below. 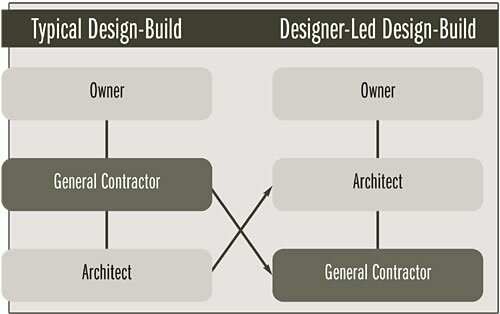 The architect-contractor relationship is non-adversarial, with the contractor assisting the architect in correcting unanticipated design problems, and the architect assisting the contractor by flexible interpretation of the design, allowance of substitutions and minor design changes, etc. Construction worker injury claims are not defended under the professional liability policy, with its large deductibles, because the architect’s liability is as a contractor, covered under the contractor’s general liability policy. An architect has fewer and smaller professional liability risks in designer-led design-build than in traditional projects. (above and next) This 1920s French cottage was the victim of a 1950s era addition that turned its back on the architectural integrity of the original. Burns + Beyerl Architects, Inc., of Chicago removed most of the old addition and re-built the entire roof. It also added an addition on the back to create a seamless expansion. 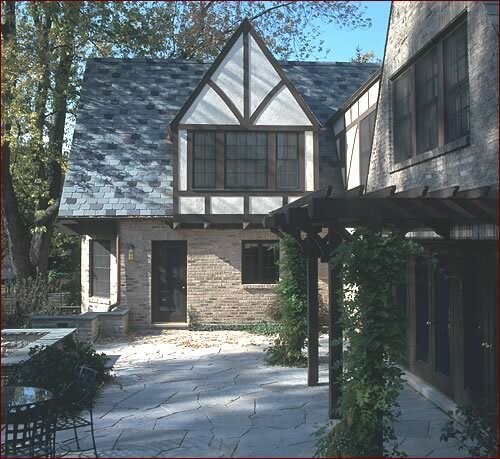 By introducing Tudor dormers, shortcomings of the original roof line were overcome by adding more space in critical areas. The finished product looks more original than the original. The house was constructed as part of a Design-Build program with BBA/Build, LLC. – Photos courtesy of Burns + Beyerl Architects, Inc.
Design-build works best when the parties have the proper economic incentives. The architect should be incentivized to help the contractor have a successful project, and the contractor should be similarly incentivized to help the architect have a successful project. To some extent, these incentives stem from the desire of the parties to work together on other projects in the future. But that is a somewhat fragile incentive. I strongly recommend that the design professional and the contractor contractually establish a sharing of savings and losses. When the architect’s construction contract with the owner is lump sum and his subcontract with the contractor is cost-plus to a guaranteed maximum price, it is easy to share savings and losses. The architect contractually promises to give the contractor 50 percent of any windfall from the contractor bringing in the project under the GMAX. And if the project costs exceed the GMAX, the architect agrees to give a rebate to the contractor from his mark-up of the construction price equal to 50 percent of the cost overrun. Photos courtesy of Burns + Beyerl Architects, Inc. Skeptics frequently ask what the source is of the architect’s construction phase mark-up: Is it just an extra cost for the owner? The answer is “no,” the owner pays no more than usual, and quite possibly less. This is because designer-led design-build is quite possibly the most efficient project delivery method in the marketplace. The efficiency is because of the close working relationship between the contractor and the architect, which significantly minimizes the contractor’s overhead and other costs. (See Figure 3.) The contractor does not have to spend overhead money marketing for the project because it is awarded to him gratis by the architect. It does not have to support the overhead for bidding or estimating other projects that the contractor sought but was not awarded, because in designer-led design-build the contractor either gets compensated for its preconstruction services or else is awarded the project. There is far greater certainty in pricing and scheduling a designer-led design-build project because the contractor is as cognizant of the design intent as is the architect and has plenty of time during the design process to obtain firm, written quotes from subcontractors and vendors. 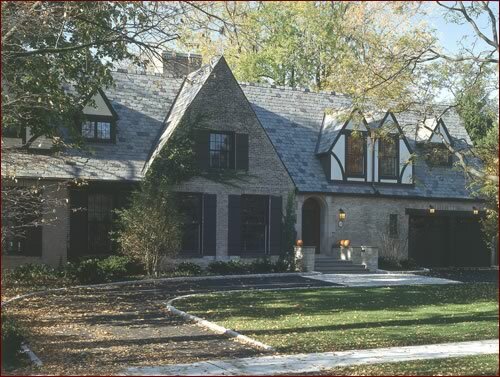 An 8,000 square-foot, brick and limestone custom residence in Lake Forest, outside Chicago. Photo courtesy of Goldberg Downey Architects, Inc. The major risk in architect-prime design build is liability to the owner for construction defects and related problems. But if the architect is liable to the owner, then the contractor is similarly liable to the architect. This is the theory of flow-down general contracting. As long as the contractor is financially sound or bonded, the architect’s ultimate financial risk is minimal. This design-build structure will not always be optimal or workable. It would have to be modified for public projects in some jurisdictions because of competitive bidding laws. The licensure laws in some (but not many) states may create an obstacle. And, this project delivery method is not designed for an owner whose primary goal is to obtain the lowest possible competitive bid. But, designer-led design-build is ideally suited to most private sector projects, particularly those that are driven by schedule or budget. Not only architects, but owners and contractors as well, have expressed great interest in and achieved great success with this project delivery style. (See Figure 5.) Although there are too many details for an article of this length, I encourage anyone who is interested to contact me with their thoughts, experiences or questions. 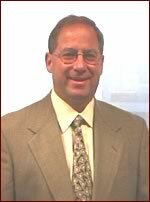 Mark C. Friedlander is a partner and co-chair of the Construction Law Group at the national law firm, Schiff Hardin LLP, as well as an adjunct professor at the Graduate School of Architecture of the University of Illinois at Chicago. He served as the chairman of the Professional Practice and Contracts Committee of the Design Build Institute of America, and is the immediate past president of the Society of Illinois Construction Attorneys. He represents architects and engineers in litigation and business matters, and a significant portion of his practice involves structuring construction projects and consulting in project delivery methods. Mark Friedlander can be reached at 312.258.5546 or mfriedla@schiffhardin.com. For the past several years, the U. S. economy has seen a tremendous amount of growth in the adoption of sustainable practices. Organic and natural products now grace the isles of almost every grocery and department store. Consumer awareness has grown as more people try to purchase organic and locally grown produce. For more than 85 years, the Franklin County Courthouse has been a cornerstone of the National Register–listed Main Street Historic District in Greenfield, Mass. Its classical revival style, with Corinthian columns, a pedimented Greek temple-like entrance and decorative brickwork, helped the courthouse stand out as a symbol of justice rooted in ancient democratic traditions.